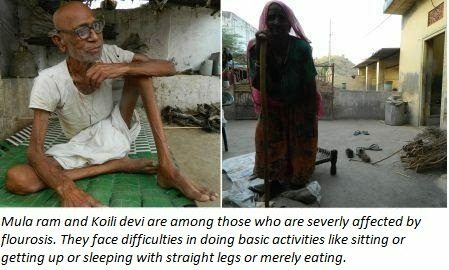 Help village Banwali fight water scarcity. Its three in the noon, sun is at its peak. Temperature is soaring to 42 degree Celsius; streets are lying empty as no has the courage to bear the sun at this time of the day. 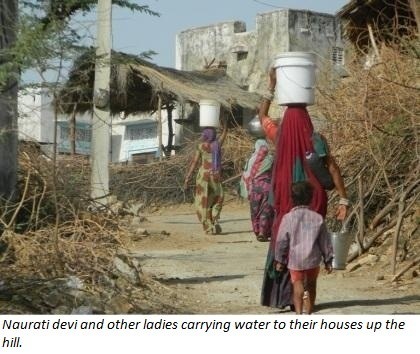 Naurati devi on the other hand carries two big buckets and leaves her house over the small hill to fetch water from the village water supply point 500 meters away from her house. She has to fetch 600 liters of water every day for her household needs. It takes more than a dozen round trips from supply point to her house up the hill with 40 liters of water every single time. She spends three to four hours a day doing this. If she leaves early in the noon she might avoid the crowd, verbal fights which at times turn into serious feuds, save some time and probably fulfill her household water needs before water runs out. This is what every lady thinks in the village. Other ladies also leave their homes at the same time. Banwali is a small village with two hundred families located at the border of Nagaur and Ajmer. It does not have any public transport, little mobile connectivity, no hospital and no higher secondary school. The villagers struggle with several day to day problems but the biggest one is the scarcity of water, due to which more than fifty percent of village migrates every year. The main occupation in the village is animal husbandry and farming. Both of which are dependent upon water. Due to water shortage the animal farmers leave the village for eight months a year in search of water and settle for the time being near its source. The condition of farmers is even worse; they haven’t sawn their farms for nearly a decade. It is during the monsoon that they can get any harvest but due to the monsoon runoff their farms get washed off every year. Due to the non availability of water the entire economy of the village is in a very bad state the effect of which is visible on every aspect of their lives but most on the education of the children. The village also struggles with the problem of drinking water. The water in the village is in short supply and the one that is available for drinking contains fluoride. It is due to this that almost everyone in the village is affected by flourosis, complaining about pain in joints. Villagers decided to solve the problem of water scarcity on their own. They decided to construct a pond which would not only provide water for round the year but would raise the ground water level in the area and would also reduce the problem of run-off (kataav). The construction of pond started under MGNREGA. Villagers themselves managed the MGNREGA work; all the workers were payed full wages for the work done. There was no discrepancy in the work done and the result was creation of a pond that became a model for nearby villages. 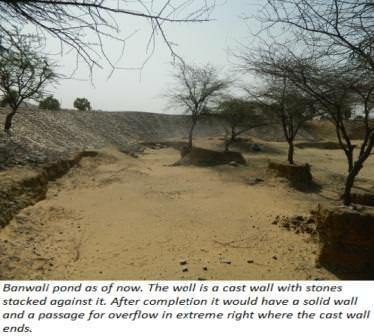 However the pond was constructed under kaccha karya (cast construction) by MGNREGA. The flow of water in the pond is such that if it is not supported by a face wall than it would collapse leaving the problem of water scarcity as it was and also breaking the morale of villagers. With the face wall the pond would transform the entire economy of the village. It would raise the ground water level in the area and would convert 500 acres of fallow land into irrigated land. The migration would stop as the animal farmers would have water in the village itself this would double the number of animals in the village thus benefitting the economy by a great margin. The problem of drinking water would be solved once and for all. The girls would no longer have to toil in sun. They would be able to get good education and have prospects of a bright future. This one structure can transform the village of nearly 2000. It can also work as a model for rest of the villages in the area which are also struggling with the same problem. We, the women, the farmers, the children and the girls of Banwali need your support. 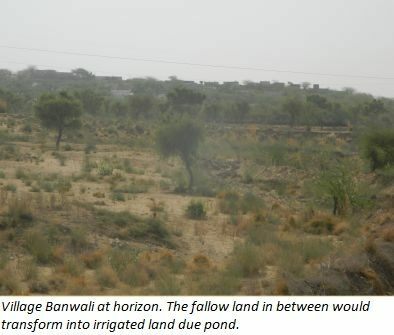 We (Banwali water committee in association with Manthan kotri ) are fundraising to complete the construction of the pond. You can help us by making contribution to the campaign and by spreading the word about the campaign amongst your circles. We need your urgent support, if the face wall is not built before monsoon than the pond wall would collapse. We would never be able to thank you enough for your support. In acknowledgement of your support and to honor your support we would be writing name of every contributor on the wall of the pond. How the money would be used? The money collected would be used to complete the remaining construction of pond by Banwali village’s water committee, a democratically elected body. 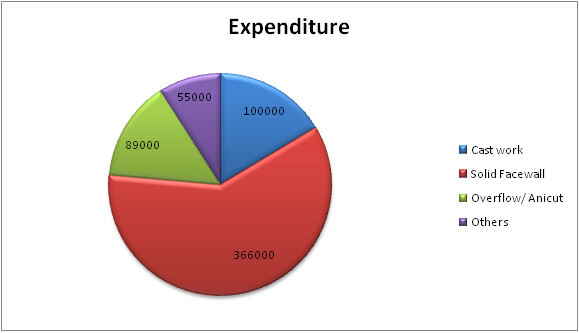 10% of this expenditure is required for other costs. We need rupees 6,10,000/- for the completion of the pond. The cost structure is briefly explained with the following chart. The work is being undertaken by the villagers of Banwali themselves. Banwali water committee will be looking after the completion of the project. Manthan is a registered NGO, it would be helping and guiding the committee with its work. Manthan is an offshoot of barefoot college and has been working in the area since three decades. 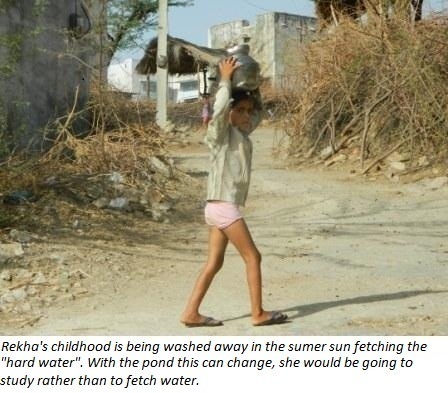 Manthan has worked extensively on water in the area helping to solve the problem of water in several nearby villages. http://manthankotri.in/ link to Manthan’s official website. http://www.barefootcollege.org/ link to barefoot college’s website. To enquire further about the project and about Manthan you can contact us through email. Our email address is barefootkotri@gmail.com.